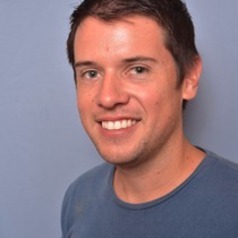 Dr Marco Scholtz is a Senior Lecturer/Researcher at the tourism research unit of the North-West University's Potchefstroom Campus, namely Tourism Research in Economic Environs & Society (TREES). He started working for this research unit in 2010 where he also completed his Masters degree in tourism research and was awarded the prize for the best Masters student for that year. He went on to do his PhD and obtained this in 2014. Currently his main roles include research planning and execution, data analysis, as well as facilitating post-graduate studies. His research focus areas include the social impacts of tourism and travel motives (why people travel to places). He is currently exploring other sphere of tourism research, including cultural heritage tourism as well as how social media can be used as a tourism marketing tool. He has furthermore been part of a few tourism development projects as well as an EU international tourism research project called Green Bubbles. He has furthermore published peer-reviewed articles, attended various conferences and compiled over 100 research-based technical reports.